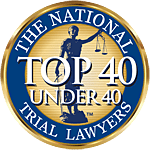 At Associates and Bruce L. Scheiner, Attorneys for the Injured, our reputation for motorcycle accident legal help is perhaps only surpassed by our work on behalf of victims of drunk-driving collisions. Unfortunately, our motorcycle accident attorneys in Fort Myers and Cape Coral see far too many cases in which drunk drivers cause motorcycle collisions, often with deadly results. Drunk drivers claim more than 10,000 lives each year, accounting for about one-third of all fatal traffic collisions, according to the National Highway Traffic Safety Administration. Meanwhile, despite accounting for just 3 percent of all registered vehicles, motorcycle collisions account for about 1 in 6 traffic deaths nationwide. The two together are a deadly combination. When it comes to fatal motorcycle crashes, about one-quarter of all motorcycle riders and passenger vehicle drivers are legally intoxicated (.08+ blood-alcohol level) at the time of the collision. Riders in their 40s are most likely to be intoxicated, with more than one-third reporting blood-alcohol levels of .08 or higher. Nearly half of all riders who died in single-vehicle collisions were legally intoxicated –a statistic that jumps to two-thirds on weekend nights. In fact, riders who die at night are three times more likely to be legally intoxicated, according to the U.S. Department of Transportation. In Florida, nearly half of all fatally injured riders had alcohol in their system at time of death, while about one-third were legally intoxicated. The Florida Department of Highway Safety and Motor Vehicle’s Motorcycle Handbook reminds riders that riding with any amount of alcohol or drugs in their system is riding impaired. The agency estimates 2,100 riders are killed and 50,000 are seriously injured each year in motorcycle collisions involving alcohol. Either Don’t Drink or Don’t Ride. Our motorcycle accident attorneys in Fort Myers and Cape Coral know most motorcyclists ride responsibly. However, with a fatal drunk driving collision occurring every 50 minutes in the United States, motorcycle riders are at high risk of being injured or killed by the negligence of another driver. In fact, with 818 traffic deaths involving alcohol in 2012, Florida ranks behind only California and Texas as the most dangerous state in the nation for traffic collisions involving alcohol. These are complex cases and your choice of law firms can have a significant impact on the outcome. At Associates and Bruce L. Scheiner, Attorneys for the Injured, we stand behind a reputation build over more than 40 years of fighting for the rights of injured riders. We stand for those who have been injured or killed by the senseless acts of a driver who has climbed behind the wheel after having too much to drink. We believe anyone involved in a serious collision deserves immediate access to experienced legal help. If you or a loved one has been seriously injured, contact any of our Southwest Florida offices of a free and confidential consultation to discuss your rights. Serving Naples, Fort Myers, Cape Coral, Lehigh Acres, Punta Gorda and Port Charlotte since 1971. You’ll Pay Us Nothing Unless We Win.